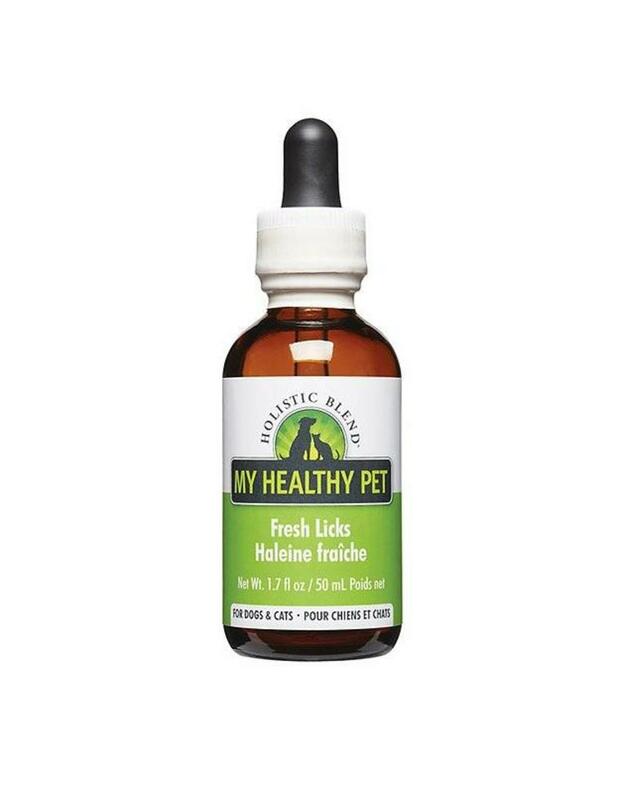 This liquid supplement is formulated to freshen the breath of cats and dogs of all breeds and lifestages. This homeopathic remedy for pets of all ages provides quick, safe and lasting relief from odors that are produced in the mouth or digestive tract. Made with fresh ingredients blended together including sage, rosemary, peppermint, parsley and ginger, this formula will not only help relieve your pet’s bad breath, but it will also help with the underlying cause as well including poor digestion, gas and bloating. Ingredients: Sage, Rosemary, Yucca, Marjoram, Alfalfa, Peppermint, Ginger, Parsley, Chlorophyll.